If a discovery confirms your pre-held religious beliefs, then it’s wishful thinking at best and even more likely to be a fraud. As a principle, I think it’s a good one. But it’s one I have rarely, if ever, encountered in so-called “Biblical Archaeology”, which is a sub-discipline that is characterised by a distinct lack of sceptical thinking. Why is that? Let’s answer that by looking at some recent claims: the “Jesus family tomb”, the “lead codices” from Jordan and the interminable searches for “Noah’s Ark”. 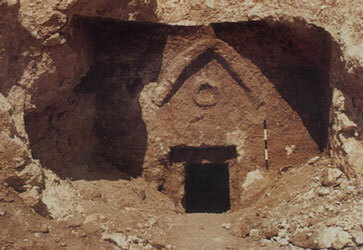 In 2005, the Canadian investigative journalist Simcha Jacobovici (know to television viewers as The Naked Archaeologist, a rather unappealing designation) entered a tomb originally found during construction work in 1980 at Talpiot (‏תלפיות‎), a suburb of Jerusalem. It seems that he did this without the permission of the Israel Antiquities Authority (העתיקות רשות), which makes it an illegal act. The purpose was to make a documentary with the film director James Cameron, as Jacobovici believed that it was the tomb of Jesus of Nazareth and other members of his family. The documentary, The Lost Tomb of Jesus, was released in March 2007, with a follow up book co-authored by Jacobovici and Charles R Pellegrino, The Jesus Family Tomb: the discovery that will change history forever (there are different versions of the subtitle that are less emphatic than this!) that was released a month later. To make matters worse, they include several additional names in their analysis: Mariamenou-Mara and Yehudah bar Yeshu‘a. The reading of the first name is disputed, her identity as the wife of Yeshu‘a bar Yehosef is entirely speculative and the suggestion that she was Mary Magdalene is also pure speculation. The second name is included to create a son of Jesus and Mary Magdalene. Why? There is no biblical authority for this move. Instead, it relies on an idea first mooted in the notoriously slipshod but best selling The Holy Blood and the Holy Grail by Michael Baigent, Richard Leigh and Henry Lincoln, that Jesus fathered one or more children, creating a dynasty that survives to the present day. Following the unprecedented success of Dan Brown’s The Da Vinci Code, the plot of which is based around the conspiracy at the heart of The Holy Blood and the Holy Grail, the idea that Jesus and Mary Magdalene were married has now entered popular discourse. It is not unfair to say that Simcha Jacobivici could not have made his documentary without Baigent, Leigh and Lincoln’s unfounded speculation about the marital status of Jesus. His contribution to the debate their book engendered uses statistics in a dishonestly tendentious way. Using this manipulated data, he claims to have found proof that a perfectly ordinary tomb in a Jerusalem suburb housed data that completely undermines the core belief of Christianity: that Jesus rose from the dead and ascended physically into heaven. Regardless of the religious dimension, which seems to be to create a Jesus-without-divinity, the claim that Jesus was married to Mary Magdalene is a core prop in the hypothesis by which the Talpiot tomb is identified as that of Jesus’s family. This is an example of using one unsubstantiated hypothesis as a prop for another in order to claim that the original hypothesis is thus proven. In March 2011, the Jewish Chronicle Online, followed by several newspapers (including The Daily Mail and The Daily Telegraph), carried a story of an amazing new discovery: a group of lead codices or ‘books’ that were claimed to contain Christian texts older than the writings of St Paul (generally reckoned to be the oldest part of the New Testament). 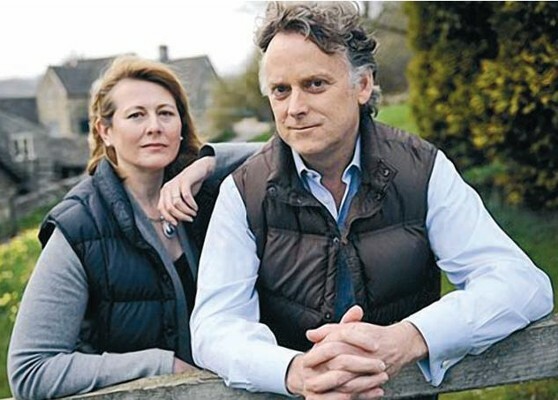 Curiously, although the early stories places Robert Feather at the centre of the recognition of the books, The Daily Telegraph focuses on a press release issued by David and Jennifer Elkington. Robert Feather is a metallurgist by profession and a member of the West London Synagogue who has published The Mystery of the Copper Scroll of Qumran, which links the treasures listed in the scroll with ’ḫnjtn (Akhnaten) and his city of ’ḫtjtn (Akhetaten). He links the codices with the rebellion of Simeon bar Kokhba in 132-136 CE rather than with early Christianity. David Elkington describes himself as “an Egyptologist, specializing in Egypt-Palestinian links that have inevitably drawn him into the field of Biblical studies” and is the author of In the Name of the Gods: the mystery of resonance and the prehistoric messiah, which is described as a “highly acclaimed academic thesis on the resonance and acoustical origins of religion”. It’s only the start of the story and already we are in murky waters. 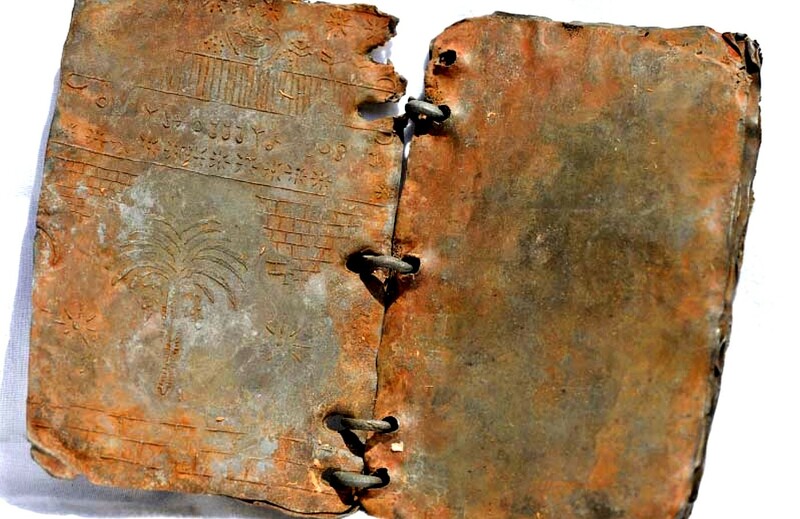 Who is the discoverer of the codices? Both claimants refer to their owner, a Jordanian lorry driver called Hassan Saeda (or Saida), while the Elkingtons were in possession of two of the books at the time of their interview with The Daily Telegraph. The power of blogging was soon brought to bear on these issues. It turns out that David Elkington is a graphic designer originally known as Paul Elkington and that his “thesis” was self-published; he had originally contacted Biblical scholar Professor Peter Thonemann of the University of Oxford on 15 September 2010, sending him images of what were clearly the same objects, only they were said to have been found in Egypt. Thonemann was able to identify the Greek text on one of the codices as a bungled copy of part of a Greek inscription published in Inscriptions grecques et latines de Syrie XXI: Inscriptions de la Jordanie, 2: Region centrale, 118. It was thus clearly a fake. Nevertheless, he put out his press release on 22 March 2011 knowing this. In detailing the strange behaviour of David/Paul Elkington, blogger Thomas S Verenna notes that what is “scandalous is the complete lack of journalistic integrity, honest research, and thorough fact-checking. These codices might never have been heard of if the authors of the reports for BBC and Fox News (among others) had just checked with the academic community before publishing the “find”… After examining the almost immediate response to the codices by Biblioblogs, one is confronted with the value of a form of media, which is not peer reviewed or looked over by an editor, which can bring about correct historical information to a large audience quickly. Perhaps blogging isn’t enough; but it is something”. I couldn’t agree more. What this story illustrates is one of the principal mechanisms by which Bad Archaeology and other pseudosciences are promoted: go straight to the press with a fantastic story secure in the knowledge that the hacks will do little to check its veracity. This is the practice of churnalism, whereby press releases are simply copied-and-pasted or occasionally very lightly redacted for publication. No scholarly articles are written to confirm the legitimacy of the finds, no data is made available for qualified scholars to examine, overblown claims are made for the significance of objects that are not available for examination and those making the claims inflate their own scholarly credentials. The ‘lead codices’ are a feature of Biblical archaeology that is all too common: the allegedly important object that is supposed to rewrite our understanding of early Judaism/Christianity that turns out to be a fake. 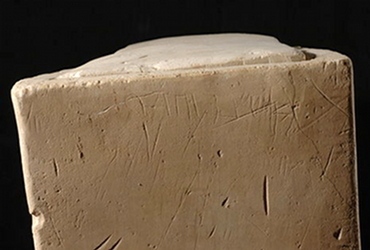 The ossuary of James the Just, the Jehoash inscription and the Turin Shroud are just some of the examples of frauds intended to bolster the faith of the pious by providing evidence that their beliefs are grounded in reality or to push a particular version of the past to discredit the religious beliefs of others. In some cases, the motive is simply greed. I’ve covered this topic ad nauseam both on this blog and on the main site, but it’s a hardy perennial of Bad Archaeology. Scarcely a year passes without some new announcement that it’s been located. That’s not what I want to discuss this time, though. What I want to touch on is the curious belief among some of the faithful that objects mentioned as being significant to the religion of the Hebrews ought still to exist somewhere, as I touched on in this post some time ago. 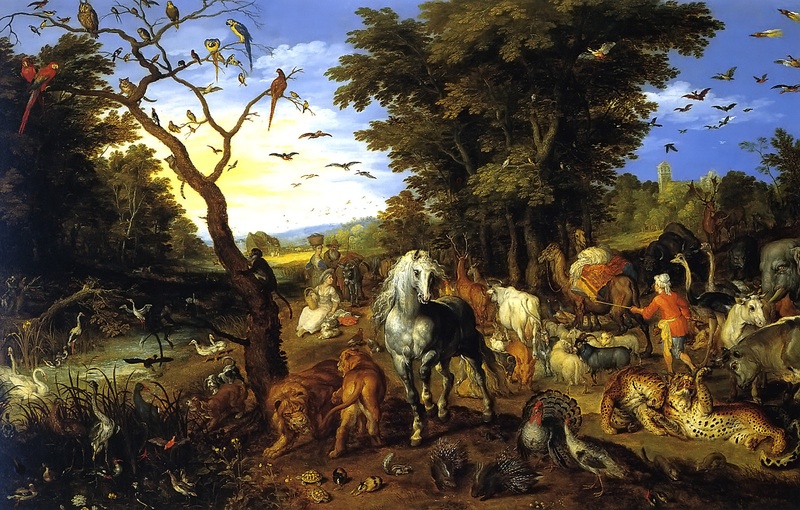 Noah’s Ark makes a brief but significant appearance in Genesis VI.14-VIII.19. We’re told what Noah was commanded to use in his construction. The main material was “gopher” (גֹ֔פֶר) wood; nobody actually knows what sort of wood this was (Wikipedia’s suggestion that it may be a Hebrew transliteration of Assyrian giparu, claimed to mean “reeds” is wrong, as the word means “residence of the enu-priest”, “part of a private house”, “meadow” or “taboo”: this is why Wikipedia entries always need to be checked against more authoritative sources!). Pitch is also mentioned, while it had a “covering” that could be “turned back”. Although it is described as a massive boat, it was supposedly made from perishable materials: wood, even when coated in pitch, rarely survives in archaeological contexts and tends to survive only in very specific conditions (extremely dry, freezing or anaerobic situations). Nothing in the text of Genesis suggests that it was anything more than a temporary home for Noah, his family and the animals they cared for during the Flood. Its usefulness over, it was simply abandoned on the “Mountains or Ararat” by those who descended to the lowlands to repopulate the earth. So why do people want to go in search of it? 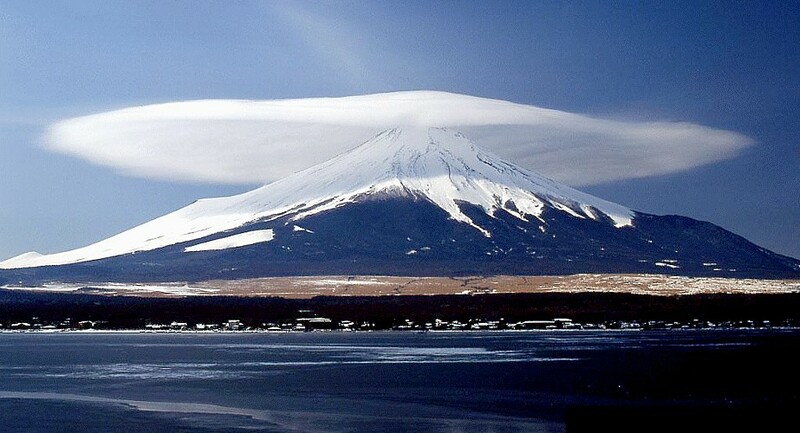 Putting aside the question of whether the “Mountains of Ararat” (הָרֵי אֲרָרָט) in Genesis VIII.4 refer to the mountain we call Mount Ararat today, by what mechanism do they see the Ark surviving? And surviving as a complete or near-complete ocean-going vessel? Should its preservation be viewed as a miracle performed by Yahweh? If I were to initiate a search for, say, the shells of the eggs laid by Leda, Han Xiang’s gourd without end or Mami Wata’s grooming set, it is unlikely that I would get many enthusiasts to join me or donate money to my expedition. It is only the privileged position that Hebrew mythology enjoys in Western culture that convinces some people that Noah’s Ark once existed in the real world. A great deal of what is presented to the public as “Biblical Archaeology” bears little relation to what other archaeologists recognise as archaeology. The spinning of data to push a particular and tendentious interpretation, the outright forgery of artefacts and the naïve belief that certain objects ought to survive to the present day are not characteristics of scientific archaeology but are typical of pseudoscience. A great deal of what passes for “Biblical archaeology” consists of a search for sites and artefacts that ‘confirm’ what the Bible says; indeed, this was one of the inspirations behind the development of archaeological excavation. Following the questioning attitudes to religious certainty inculcated by Enlightenment writers, the faithful wanted to demonstrate that their beliefs could not be shaken by rational inquiry but, rather, would be confirmed through it. Unfortunately, the reverse has tended to happen. Archaeology has not confirmed the glories of the Davidic kingdom, has failed to produce evidence for Noah’s flood, has not revealed the location of Jesus’s crucifixion, has not identified a Pharaoh of the Exodus. And it probably never will. A great many of its practitioners start out from a particular religious viewpoint (usually orthodox Judaism or a Christian sect) and aim to find evidence that backs up their literalist interpretation of the sacred texts. This seems to have been at least part of the motivation behind the forgery of the ‘James the Just ossuary’ and other dubious artefacts traced back to Oded Golan (the other being financial, of course). So our purpose is to excise from modern life what little of the Bible is being used and also to eliminate the potential use of any sacred scripture as an authority in the modern world. Sacred texts are the problem that most scholars are not willing to confront. What I seek is liberation from the very idea that any sacred text should be an authority for modern human existence. Abolishing human reliance on sacred texts is imperative when those sacred texts imperil the existence of human civilisation as it is currently configured. The letter can kill. That is why the only mission of biblical studies should be to end biblical studies as we know it. Strong words. And perhaps a little over-the-top. But, as Israel Finkelstein and Neil Asher Silberman show in The Bible unearthed: archaeology’s new vision of ancient Israel and the origin of its sacred texts (2001), archaeology paints a coherent picture of the development of the Jewish people that is completely at odds with the claims of the Bible. No amount of fraud, wilful misinterpretation of data or quests to find the objects that will ‘prove’ a particular religious viewpoint will bring back the innocent and ignorant days when the Bible could be read as literally true.